Would you like other passengers of your cruise to join you for this tour? If the number of participants increases the cost per person reduces much! 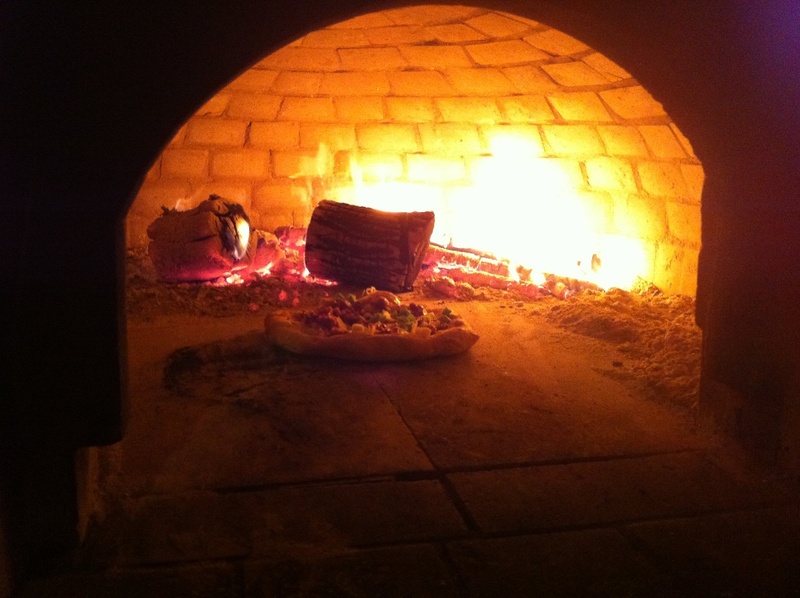 LEARN THE DIFFERENCE BETWEEN PISA AND PIZZA! 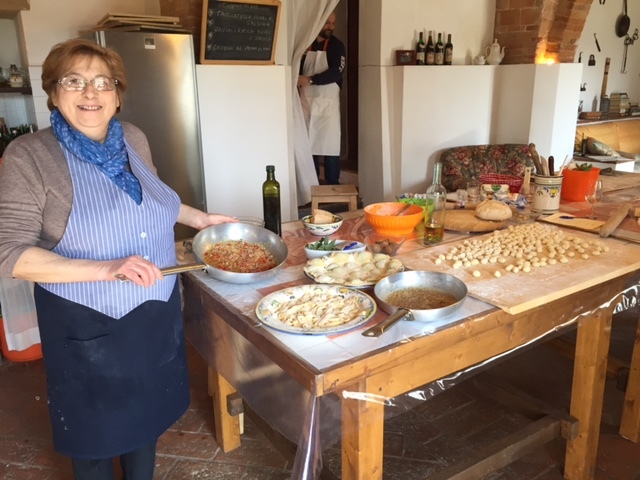 Arianna & Friends arranges an exciting full-day private shore excursion to the hilly area near Livorno for you to learn how to make fresh pasta and pizza. You reach a lovely country house where you enjoy a private pasta & pizza class followed by a delicious lunch. 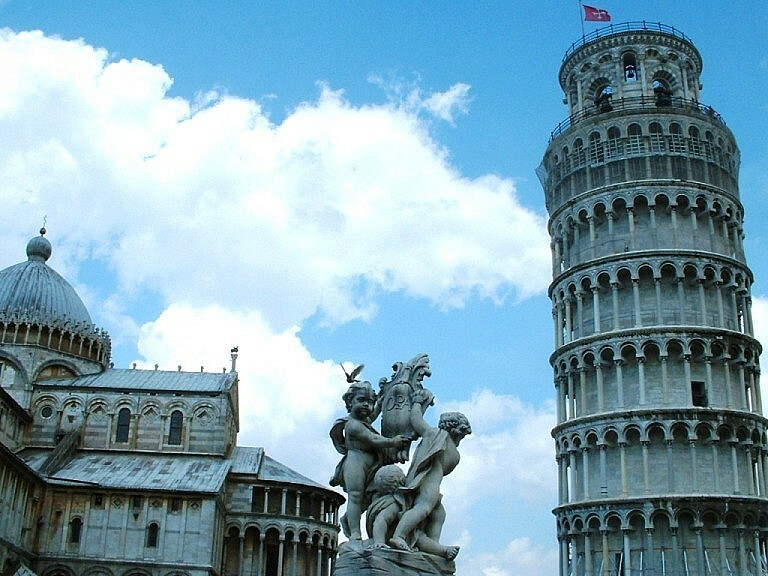 In the afternoon you reach Pisa downtown for a walk around the leaning tower and the monumental square on your own. – Private transfer by minivan (up to 8 people) or minibus (9 people or more) from the port of Livorno. In case of minivan our driver meets you directly at the ship in the morning and drives you for the whole day. In case of minibus our driver meets you at a bus parking area near the ship that you will reach by a fast free shuttle service organized by the port. On the way back our mininus will drop you off directly by the ship. 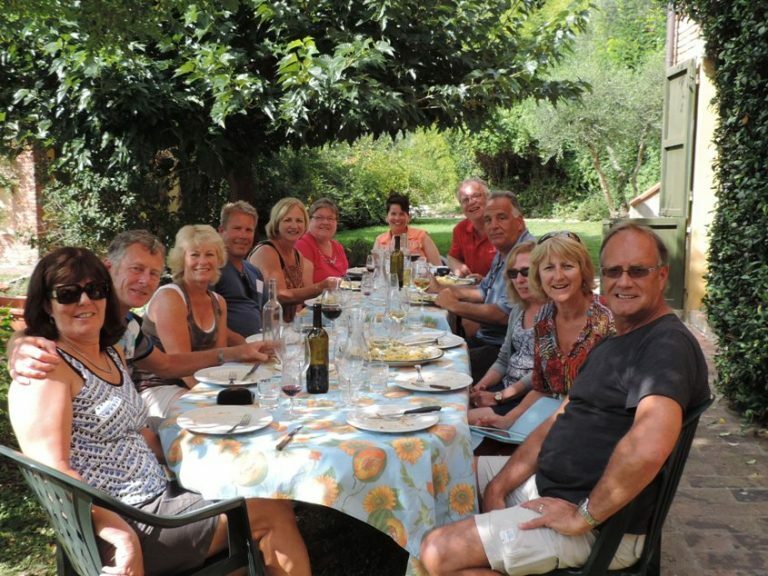 – You drive for about 50 minutes and reach a beautiful country cottage with a stunning view over Tuscan hills. 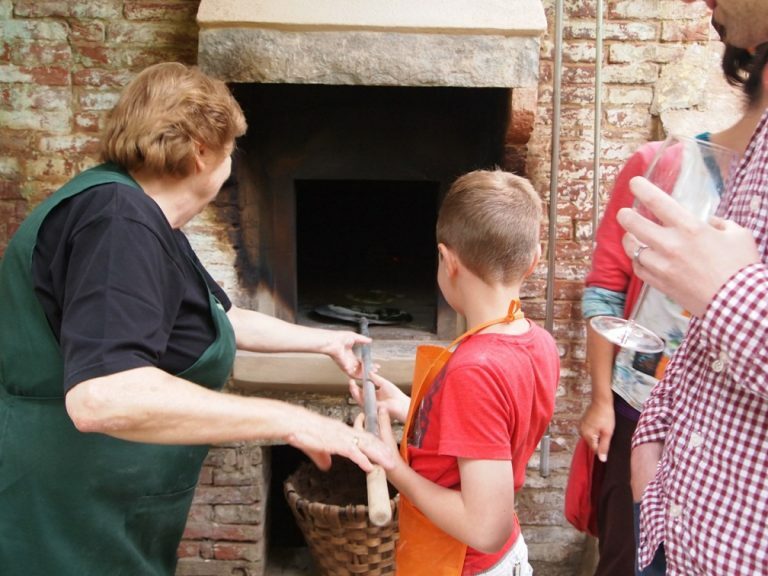 Here you meet an English speaking assistant who gives you an interesting introduction to the rural Tuscany, its rural habits, facts and history, while showing you the marvellous property where the cooking venue takes place. 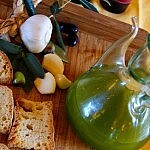 You will learn about farming in the Tuscan countryside and you will see the friendly animals living on the farm. The assistant is available also in French, German, Russian, Spanish and Italian. 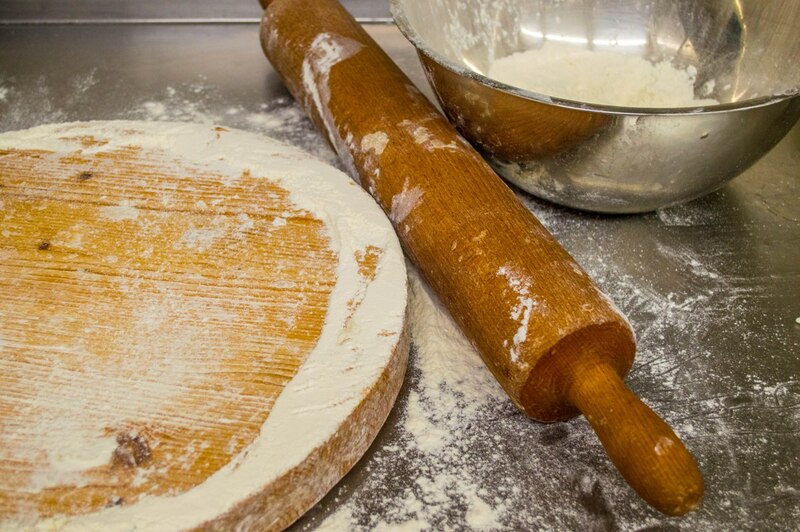 – Our private pizza & pasta making lesson starts when you wear your personal apron, which will be your souvenir of the cooking experience with us. 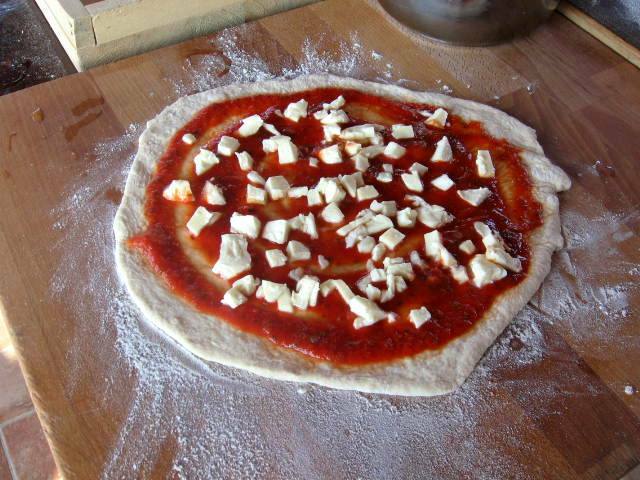 Following the instruction of a local very nice chef and pizza maker, translated by our assistant, you will start making the pizza dough and the pasta dough before passing to a careful preparation of all toppings for the pizzas and a delicious sauce for the pasta. 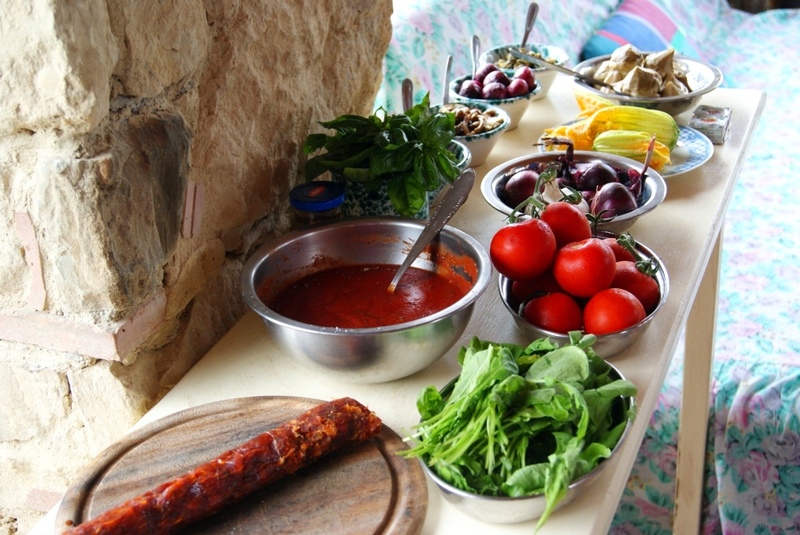 – All delicious foods prepared are served in an informal and joyful lunch: the delicious pasta you just made will be served with great local wines and drinks and then you will practice making pizzas in our wood burning oven and you will taste them immediately as they get out of the oven! 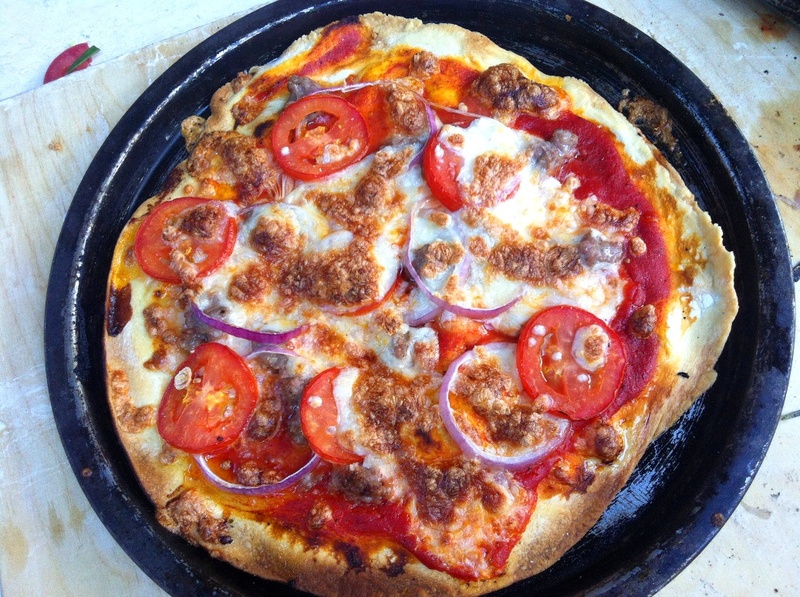 You will make plenty of assorted pizzas with any topping prepared. 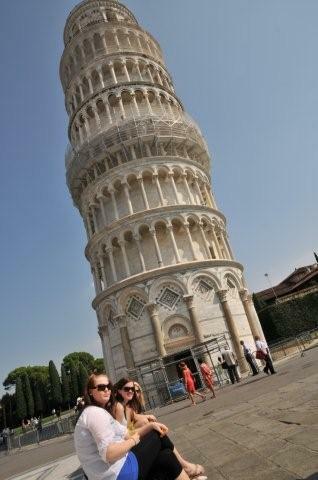 – After lunch our chauffeur will drive you to the monumental area of the Leaning tower of Pisa. You will get directly to the stunning marble complex of the Miracles’ Square as our driver is licensed to enter any restricted area in town. 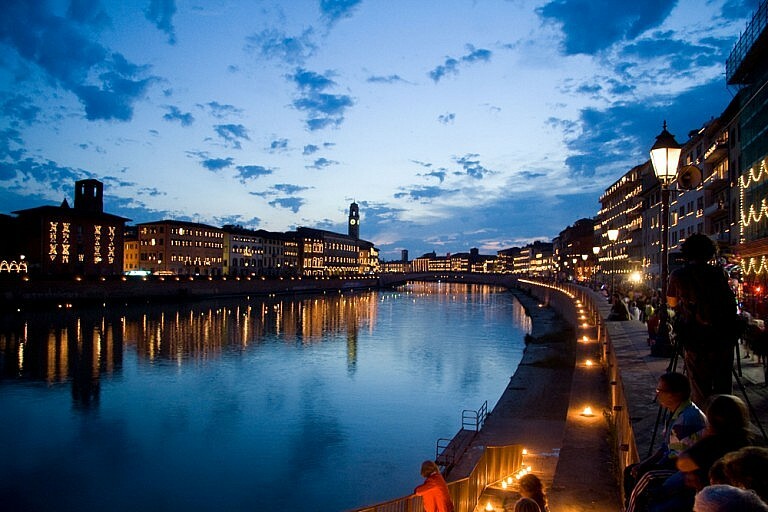 You will have 1,5 or up to 2 hours in town on your own for some shopping or a great gelato. 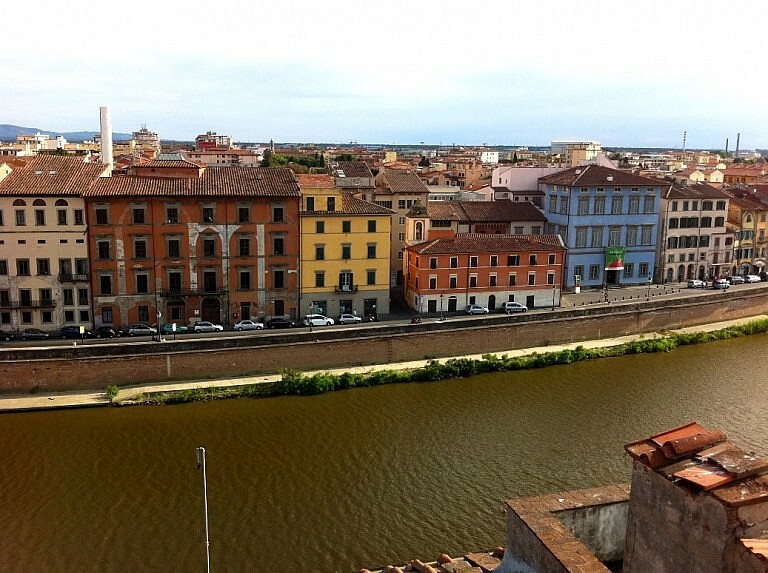 Upon request with a surcharge it is possible to have a licensed Pisa city guide for a guided walking tour. For groups of 9 ore more people transportation is by minibus. Minibuses are subject to traffic restrictions in Pisa and are not allowed to reach the monumental square directly. A walk of 15 minutes from the bus parking to the leaning tower is necessary. 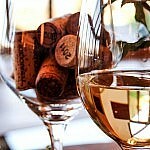 – Return within the early evening, depending on the docking time of the cruiseship. 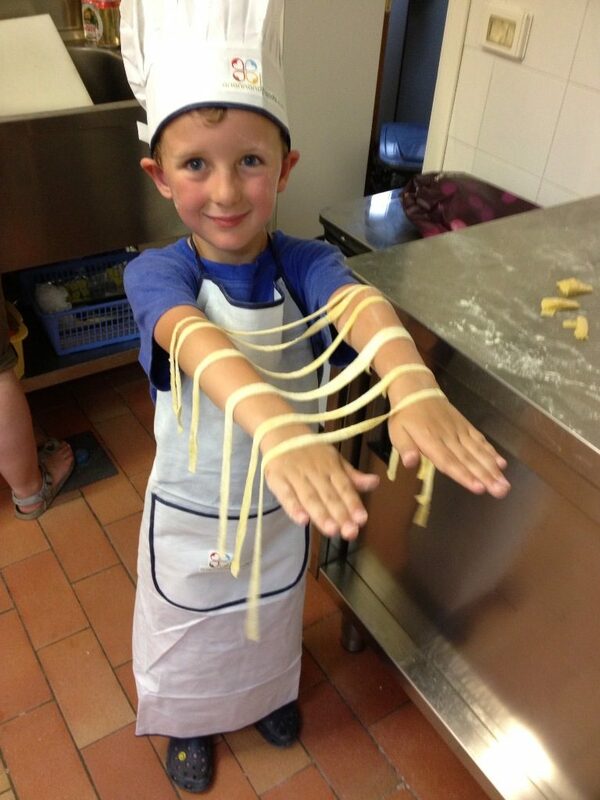 Fresh egg-based tagliatelle are typically hand made during our cooking classes as one of the main dishes. 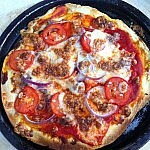 A very good topping for a pizza is red sweet onions. 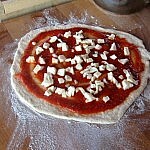 Italians tend to top pizzas with just a few ingredients, like one kind of vegetable at a time. 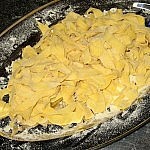 One of the most famous specialties of Italy. 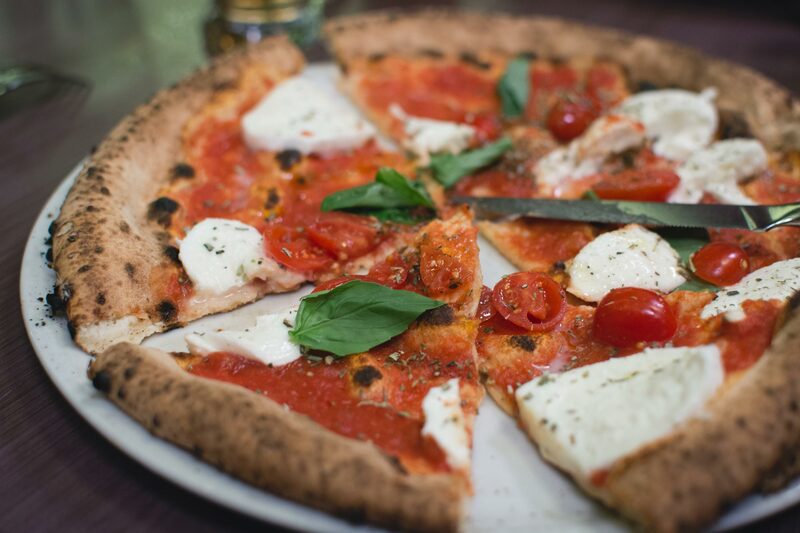 Pizza margherita is topped with fresh tomato sauce, mozzarella and basil. 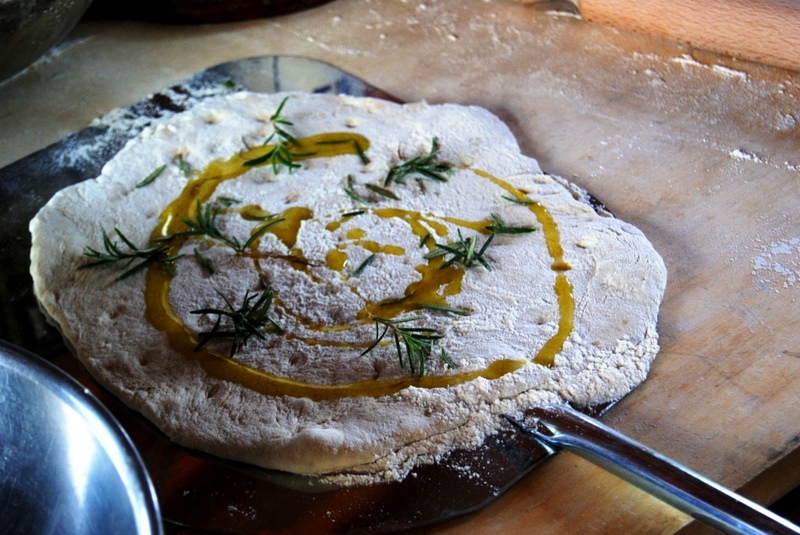 A final drizzle of extra virgin olive oil makes it perfect! Veronica has been a very talented resource at Arianna & Friends since 2012. 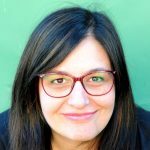 Born in 1977, she lives in Montelupo Fiorentino, a town famous for its ceramic and pottery tradition, and she is the mother of a sweet little girl called Matilde. She attended courses of Russian and English at the University of Pisa with Massimo. After graduating, she worked in hospitality and event organization. In Autumn 2012 she joined our company and since then she plans original weddings and events and she deals with the bookings related to the yearly concerts of Andrea Bocelli in Lajatico. She is a real passionate of food and cooking, often counting on the precious advice of her aunt and the stories she remembers from her grandma. The best drivers' company in Tuscany. 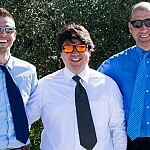 Diego, Enzo and Andrea are skilled, reliable and experienced drivers in Tuscany who meet you during our tours and shore excursions. 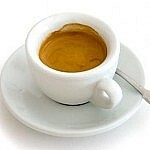 They speak good English and can cope with any logistic problem in the whole Tuscan territory. Their year-long experience is fundamental to study the best solutions and take any backroad in case traffic is slowing down our programs. 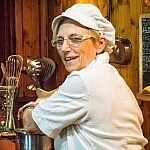 Lorena is a talended chef who lives in the town of Pontedera, near Pisa. 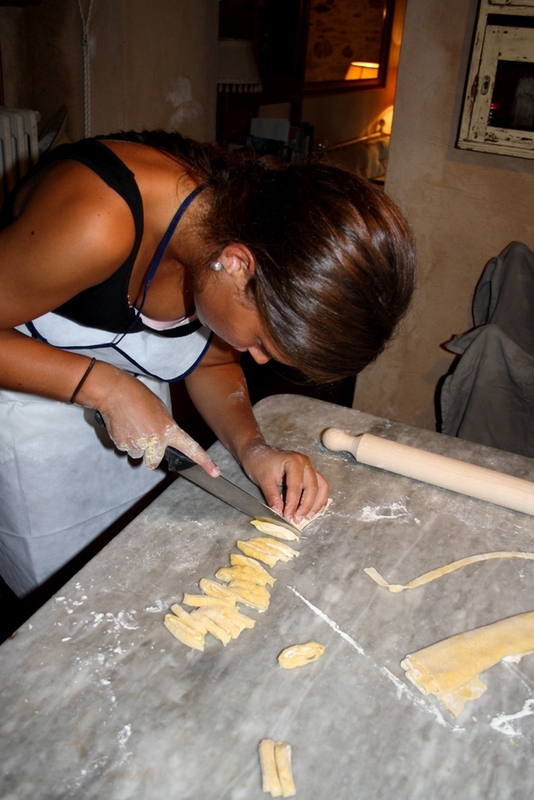 She is very passionate and specializes in Tuscan specialties. 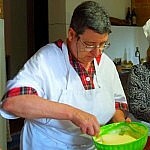 She is the perfect cook for private cooking services in your Tuscan villa or for in-home cooking classes. 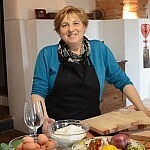 Licia is a granny and a fantastic chef who lives in the village of Lajatico, the birthtown of Andrea Bocelli. 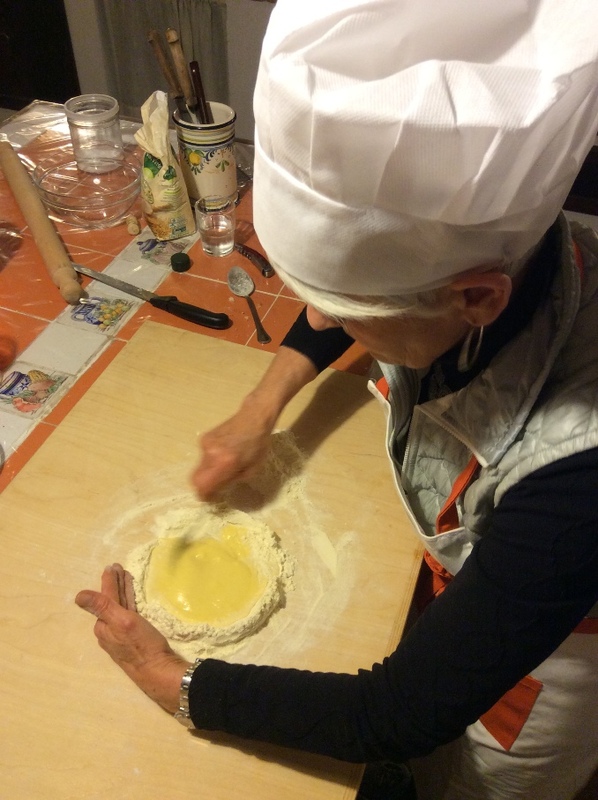 She lives in a very charming house in the old town and her kitchen is one of the fantastic settings of our very pleasant private cookery classes. Full-day transfer service by car (for parties of 2 people), minivan (for parties of 3 and up to 7-8 people) or minibus (for parties of 8-9 people or more). In case of use of minibus a bus parking fee applies in Pisa, which is included in the rates. ARIANNA & FRIENDS IS COMMITTED TO EMPLOY OFFICIAL AND LICENSED DRIVERS ON BOARD LEGALLY INSURED VANS AND BUSES ONLY FOR ITS TOURS. We are fine and we are in Rome now! We’ve been so busy since our day together that I haven’t had a chance to email and thank you for the wonderful day we had. Everyone in our group was so pleased and happy with the experience. 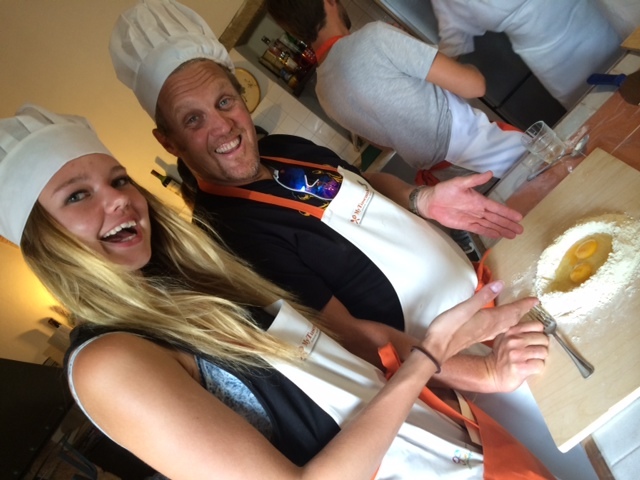 We loved you and your excellent commentary about Tuscany and the things we saw, and we also enjoyed Chef Aldo and his beautiful villa (and the great cooking lessons!) so very much. Even the bus was so comfortable and pleasant. We all learned a lot and had lots of fun as well. It was a day we will never forget! I must tell you….when we arrived back to the ship, we heard many of our fellow passengers complaining about the activities they had done that day. They complained about uncomfortable buses and big crowds and not being able to hear or understand their guides. We all just smiled and said….WE HAD A GREAT DAY!…There were no crowds, we had a comfortable bus, and our guide was the best. Please let Arianna know how much we enjoyed our day. 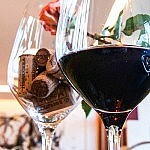 And THANK YOU for the lovely gifts of Tuscan wine – we are all enjoying that very much too! This is an email arrived from Lana, who met Massimo for a one-day shore excursion starting from the port of Livorno. 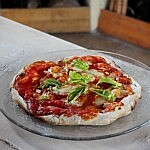 I have to say that our day with you at Aldo’s house making pizza was one of the highlights of our trip! It was truly a magical day! The cruise was very nice but a little large for our liking. The other trip that we enjoyed was to Naples, Pompeii & the Amalfi coast. 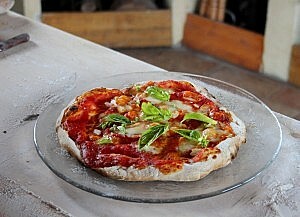 We had lunch at a beautiful restaurant in Positano. Bellisima! Thanks so much for making our trip so special. 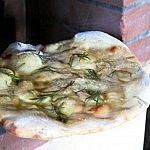 Russell and I may be traveling back to Tuscany next September as he will be having his 50th birthday. I will definitely be in touch if we make the trip back. Please give our thanks again to Aldo. Unless differently specified, our driver meets you at your ship in the harbor of Livorno. If your ship is docking in other harbors of Tuscany like La Spezia or Piombino, different rates and time schedules apply. This program takes 8,5 hours. Time for transportation included. Available any day of the week, all year through. This program and its rates include full-day transportation on board luxury cars (for 2 passengers), minivans (from 3 to 8 passengers) or minibuses (from 9 to 17 passengers). All drivers are fully licensed and allowed to enter the harbor of Livorno. All our cars, vans and buses are fully licensed and insured for transporting visitors. Minibuses are obliged to pay a bus parking fee in Pisa of € 200. The destinations reached during this activity are in the Tuscan countryside, in areas off the beaten track that cannot be reached by public transport. As a consequence, a full-day driving service on board luxury cars, minivans or minibuses is included in this program.